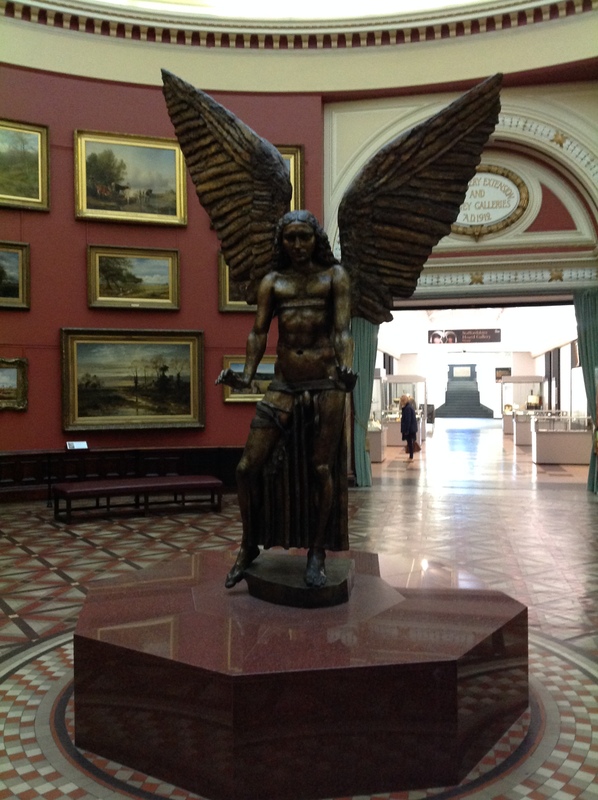 Usually when I visit Birmingham Museum and Art Gallery (BMAG) I go straight to the Pre-Raphaelite collection and stay there, occasionally popping to see the Staffordshire Hoard. So it made a nice change for me to visit and have a guided tour of some exhibits which opened in 2015. BMAG contains an outstanding international collection of artworks, but it is also very much a Birmingham institution which has been at the heart of Birmingham cultural life since it opened in 1885. It is host not only to an enormous range of works displayed in over forty galleries, it is also housed in a remarkable and beautiful building which is testament to the redbrick expansion of Victorian Birmingham – and a lot goes on there, including a wide range of events, for families, for artists, for anyone interested in looking at art, learning more about the city, or just exploring. The revamped Edwardian tearooms also do delicious cream teas! Here are some of the highlights. drama. 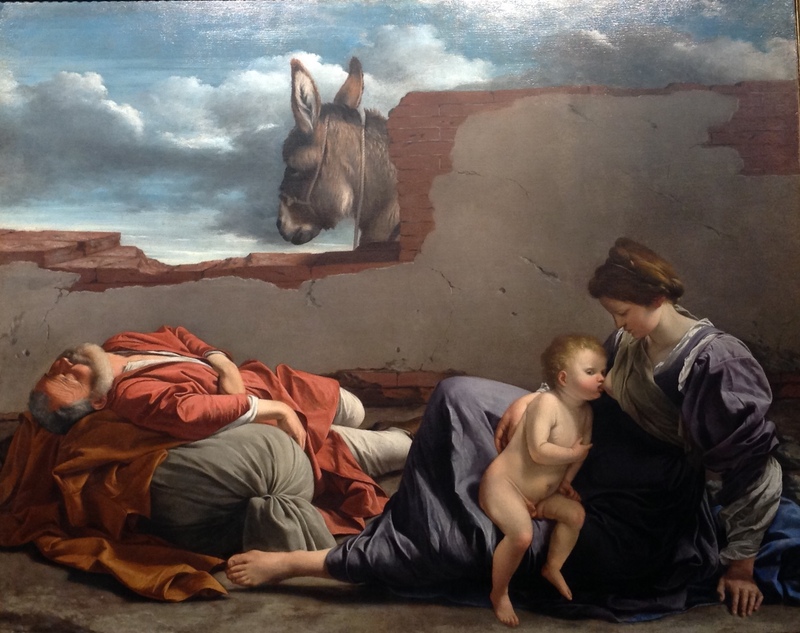 The colour and emotion of the pictures here is fascinating, though I must admit it’s not my favourite period; however, the combination of saintly figures given a human aspect (such as Mary breastfeeding the baby Jesus, watched by a donkey) with the dramatic tableau structure, is impressive. 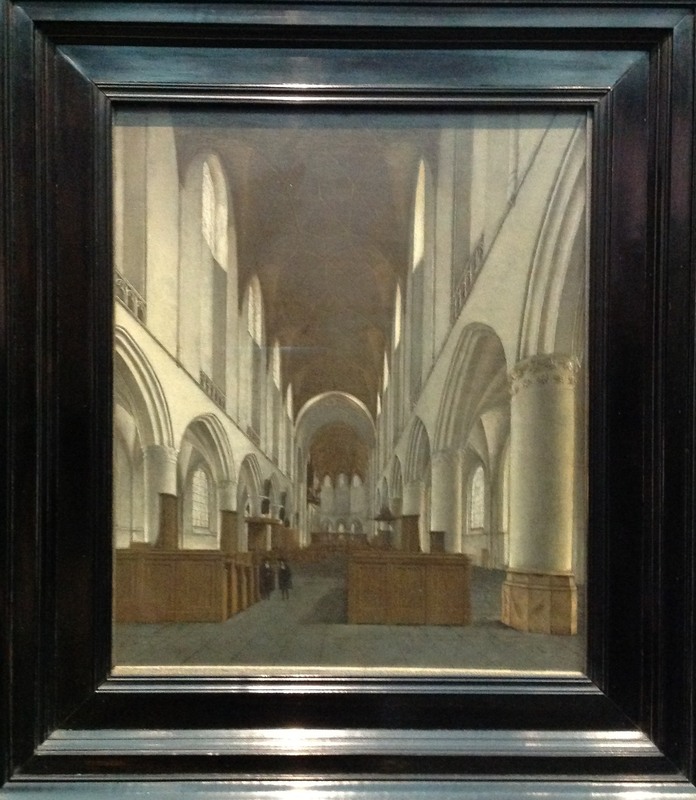 The Dutch interiors, by way of complete contrast, are domestic, dark, quiet and peaceful: religious paintings were considered blasphemous in the Protestant Netherlands so their restrained focus was on everyday scenes around them. I love the structure of the church, below right, with its cool dim recesses and flawless, incorruptible pillars. 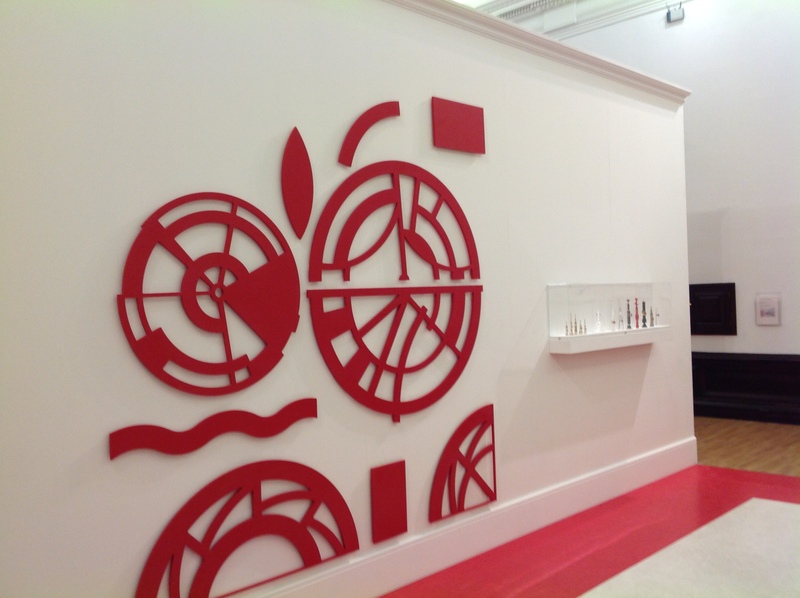 The Birmingham People gallery offers a very different experience. Here, there are many people, moving in streams through video installations, or depicted in photographs or portraits. 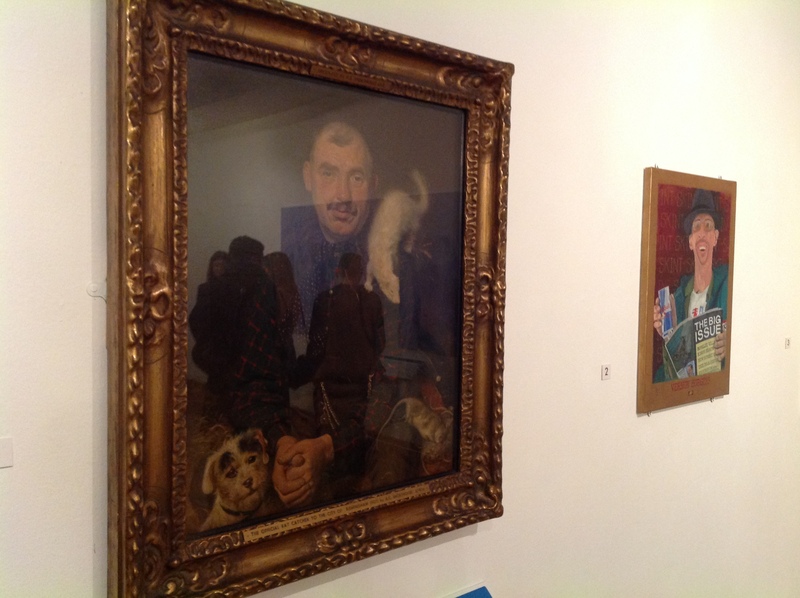 The focus is on real Birmingham people rather than dignitaries, hence the marvellous 1929 portrait of the ratcatcher, in a formal, posed portrait with rats. Another aspect of the city is depicted in Donald Rodney’s ‘Land of Milk and Honey’, with coins furring up in a tower: it indicates the soured hopes of many immigrants who found their new home not everything they had hoped – yet it’s both aesthetically beautiful and intriguing. There is also a display on change in Birmingham, which includes a model of the Rotunda which projects photographs of the city as well as images of Spaghetti Junction and a painting of the Birmingham Grand Prix, which took place from 1986-90. 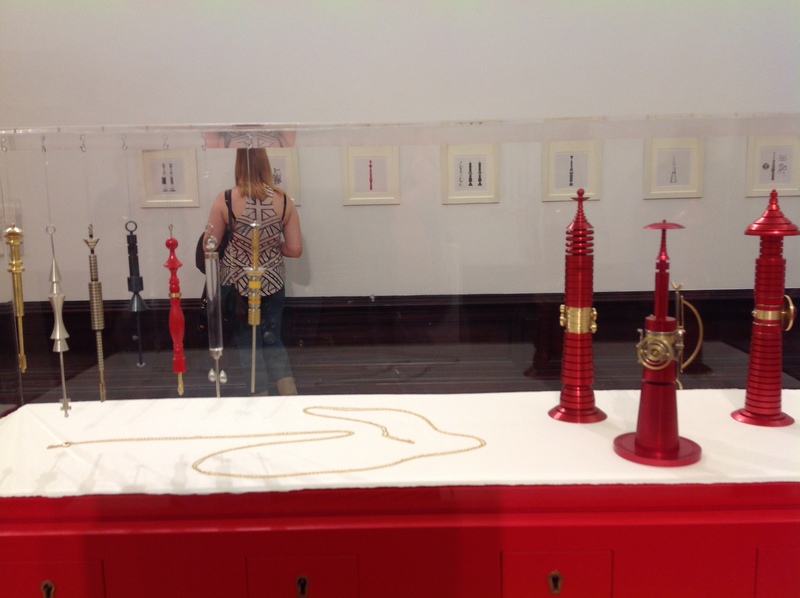 The Room of Dreams is a contemporary jewellery installation; BMAG has been acquiring significant modern jewellery since it opened, and is continuing this heritage, which is particularly important in light of the proximity of Birmingham’s Jewellery Quarter. This work is considered Wendy Ramshaw’s masterpiece, and is inspired by her childhood, by fairy tales, Alice in Wonderland, Kafka, Shakespeare, and by Gothic, and is wide open to interpretation. 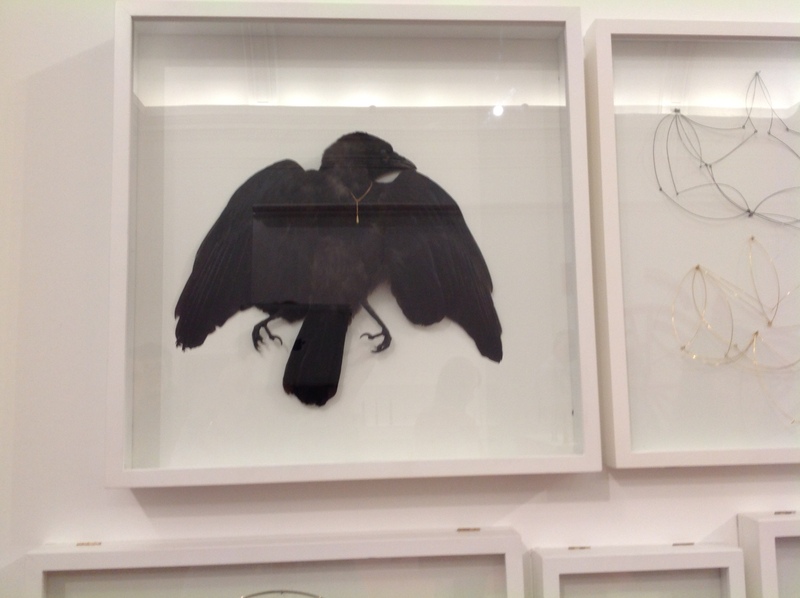 My small son was fascinated by the unsittable-on chair, and the jewels and strange but somehow beautiful pieces which hung from the walls or stood in cases. 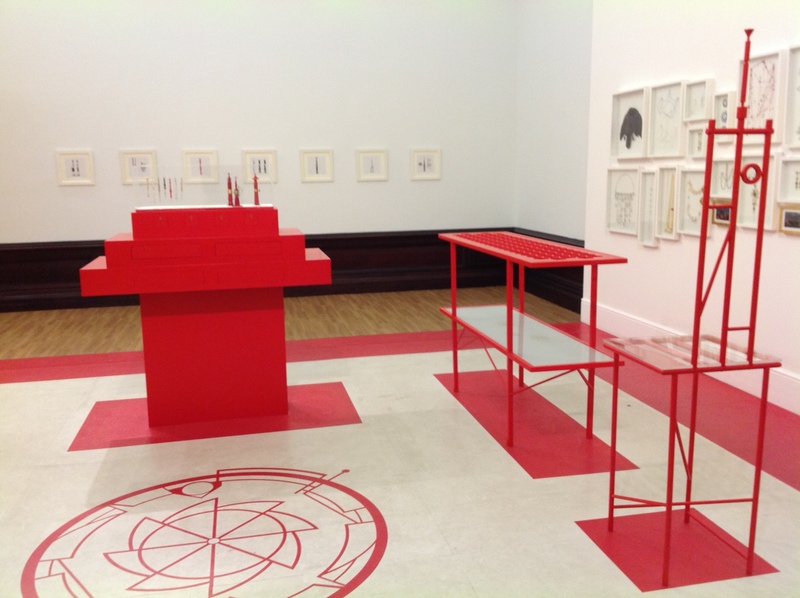 It’s a little exhibition in itself and yet as an installation it all coheres, strangely, in a topsy-turvy world which unexpectedly provides nonsensical links – just like Wonderland, in fact.